Wooden (and sometimes plastic) structure used to support goods while in transit or being moved. Standard pallets are 40″ x 48″ and typically moved using forklifts or pallet jacks. Generally refers to loose items packed in a small case. Typically used for shipping smaller goods such as cosmetics, clothing, accessories, etc. Case packs/lots typically have a predetermined unit count. Typically a large open cardboard box placed on top of a pallet and used to store or move large quantities or smaller loose items. Come in various sizes but are typically 40″ x 48″ x 48″. Pre-worn condition refers typically to clothing and/or accessories that have previously been worn (used), typically come without any kind of retail tags or labels. Brands that are either private or specific store label brands (not national brands). Refurbished goods are items that have gone through a process to test and restore the items to their original working condition. Often these items are repackaged in generic boxes and may not include all the items found in the original manufacturer’s packaging. The value of an item or load based on its original retail price in the store. Goods that are heavy in merchandise for a particular season like Halloween, Easter, Christmas, etc. Shelf pulls are typically overstocked goods that have been displayed for sale in a store or online but have never been purchased by a consumer. These are items that are typically in overstock, shelf pull or return condition but have been put through a testing process and have been deemed to be in working condition. These items may or may not come in original boxes, with or without all parts and accessories. Refers to the selling conditions of certain merchandise. Buyer typically assumes all risks in purchasing such goods and that merchandise is sold with no guarantees or returns. Item which has been purchased by a consumer and then returned to the store (or online store) for any number of reasons. Defective condition refers to items that have been put through a testing process and have been deemed defective or not working. Items may be visually defective or incomplete, or be missing parts. Items may also be brand new but with a major quality control flaw, making them defective. Very assorted loads typically made up of 1 or 2 pieces of a large variety of different products. A list of the items that are included in a load. Not all pallets or loads are manifested. If the load or pallet is manifested, you would be able to view a list of what would be in the load. Manifests are not 100% accurate and some room for error is to be expected. Manifests are typically generated by the department store facility. Master Case goods are typically 100% new in original manufacturer’s packaging and are fully functional and complete. These goods have not been exposed for sale in any retail environment and products can be considered 100% new and retail-ready. New overstocks, also often refereed to as Closeouts, tend to be goods which typically have never been merchandised or exposed for sale in a retail store. Such goods can materialize from importers, manufacturers or distributors who are closing down or simply have excess goods in their warehouse that they need to move. Shipping paperwork that accompanies a delivery. You will be asked to sign the BOL upon receipt of a shipment. Refers to items that are shipped to the customer directly from a department store facility. Refers to when pallets are “double-stacked” ? i.e. one pallet is put on top of another pallet to increase the number of pallets that can be put in a truck. Not all pallets can be double stacked, but for those that can be, it can provide an extremely efficient way to ship a larger quantity of goods in one shipment. An order that is placed with a vendor and shipped directly to the end consumer (Brokers deal with dropshippers when they do not want to touch or warehouse the merchandise. They receive orders from their customers, then place a drop-ship order with a vendor who ships the merchandise directly to the broker’s customer). Dropship orders are typically shipped “blind,” meaning with no trace of the vendor’s name or address, to protect the broker. Refers to way of loading a truck or container. Typically used to maximize space where items are loaded manually by hand without any pallets. Not ideal for all types of merchandise but for certain items it can be extremely efficient way to consolidate merchandise for shipping. Less than Container Load (an ocean shipment of less than a full container of pallets). A platform at the rear of a truck that is used to lower pallets to the ground/curb. A liftgate is needed when you do not have a loading dock or forklift available at the delivery location. 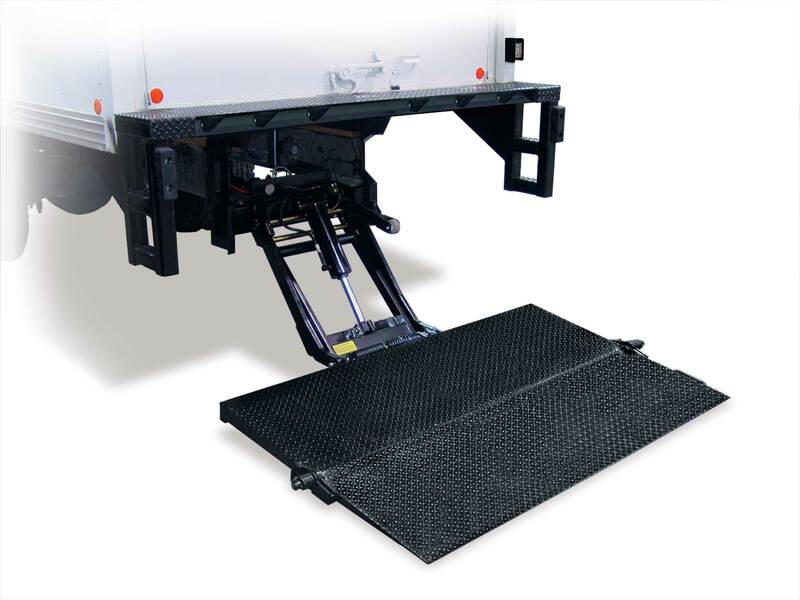 A platform that usually matches the height of the floor of a truck, that allows trucks to back up to the dock and permits easy and fast loading and unloading of the truck. Stands for “Less than Load” and is the shipping term to describe shipping less than a Full Truckload of goods. Carriers limit the number of pallets per LTL Shipment. LTL Shipments are typically 1 to 6 Pallets. 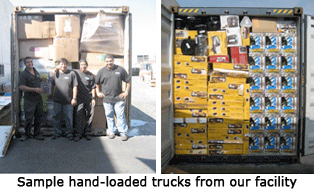 Shipments over 6 pallets may need to be shipped with 2 LTL Shipments. Ocean Container Load (a full 20′, 40′ or 45′ container of merchandise shipped via sea). Fees which credit card companies charge vendors for collecting money via credit card (typically 3%). Fees which PayPal charges vendors for collecting money via PayPal. Typically 3%. A permit that allows you to resell merchandise legally, and to buy merchandise without paying sales tax at the time of purchase.